We revisited our page on subwoofers and gave things a bit of a refresh, removing a few older models – such as the Rockville Apm10b and Cerwin Vega XD8s – and adding a few new popular subs to the list. These included the PreSonus Temblor T10, the Yamaha HS8S and the affordable Polk Audio PSW10. ‘It’s all about that bass!’ – while that may not necessarily be true for studio professionals wanting to create the best mix, having a solid low-end is very important. Being able to hear the nuances in that low-end is equally important. 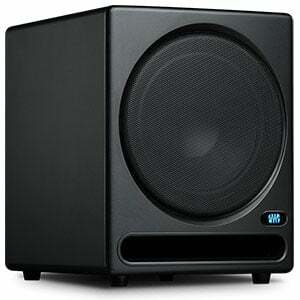 What are the Benefits of Owning a Studio Subwoofer? What Size Subwoofers Should You Get? Enter, the subwoofer. Even if you have access to the best studio monitors it’s difficult to really achieve a true representation of your mix without a proper studio subwoofer. So, in this article we are going to highlight some of the top picks in a wide range of price categories. Stick around after the chart for a look at the benefits of subwoofers and whether it’s worth buying one for your studio. A smaller but incredibly efficient sub from a very highly respected brand. One of the best bang for the buck solutions on the market. Plenty of power delivered to a capable driver in a solid cabinet. Big power from a well-designed pro-grade subwoofer. Typical HS Series build and performance for a quality listening experience. Great sub coming from the masters of budget monitoring and proper sound. Probably the most attractive entry level subwoofer out there at the moment. A very good price for a solid 10” subwoofer. ADAM Audio's reputation in music production community is a very respected one.They simply make some mean monitors, sometimes even in the affordable range. Sub8 is basically what happens when they come together to create a bulletproof source of the deep sound. This subwoofer offers plenty of power with lots of headroom. ADAM Audio went really far in order to increase the practical value of Sub8, including adding motorized knobs. The amount of transparency you can get from one of these is outstanding. ADAM Audio Sub8 will follow you down to deepest depths of frequency response, all while retaining sound integrity and linearity. Even though it's not really cheap, it has given the rest of the industry something to think about. JBL's LSR series of studio monitors have proven to be a proven option numerous times by now. However, if you still need more bass clarity, JBL has one more trick up their sleeves. JBL LSR310S is a subwoofer designed to give you a rather flat and transparent representation of low-end frequencies that reach as low as 27Hz. With a massive 10" down firing woofer and 200 Watts power on demand, it's fair to say that LSR310S has plenty of headroom to offer. Its main quality is the price to performance ratio it brings to the table. While it isn't the cheapest option out there, LSR310 will get you a lot of bang for your buck, that is for sure. KRK's studio monitors have become somewhat of a legend in the music production world. Even though professionals often decide to go for the much better, but also exponentially more expensive setups, even they appreciate KRK's products. With that said, KRK's 10S2 V2 sub woofer was a highly anticipated model. When it finally hit the streets, all of the expectations were met and some exceeded. The sub features a 10" aramid glass cone with some 160 Watts delivered by a great Class D amp. That translates to lots of headroom and a very tight performance. You can count on decent transparency with this one. Another thing worth noting is the variable crossover, which makes the KRK 10S2 V2 compatible with any monitors. The Temblor T10 is a new addition to this list and a very solid subwoofer from a trusted brand. It is a beast in terms of power, with 250 watts translating to an SPL of up to 113dB. But it’s more than simply power, as the sound is fantastic – punchy and clear. As well as a typically solid PreSonus build, the T10 features a 10” front-firing glass-composite driver, plenty of I/O connection options, and a very useful a momentary footswitch. It’s not the cheapest on this list, but certainly one of the best! We have more on the Temblor T10 in the full review. One of the most impressive new additions to this low-end list is the HS8S from Yamaha, which builds on the reputation of the Japanese brand’s long-running HS Series. As we mention in the complete HS8S review, this is a relatively straightforward subwoofer with nothing particularly special about the aesthetics. However, it features a very solid MDF build and quality 8” down-firing driver, leading to an excellent performance. The overall sound quality is superb, with great clarity and punch in the low-end. Thanks to clever reflex port design, distortion shouldn’t be a worry either. Perfect for audiophiles and studio monitoring. Mackie's series of studio monitors have brought them a good amount of fame. With that said, their subwoofers are no joke either. 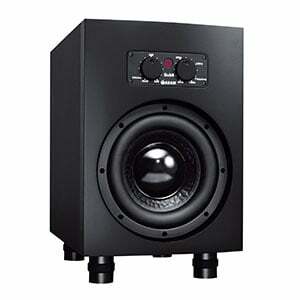 Mackie MR10S Mk3 is by far one of the most straightforward subs on the market right now. The defining features of this model are its power, which is set at 120 Watts RMS, and the size of the driver included in the package. For a 10" glass-aramid composite driver, it feels very nimble. All of the standard features are there, along with some non-standard ones. Simple in design, Mackie MR10S Mk3 is a very solid choice for both larger and smaller studios. Naturally, it works best with Mackie monitors, but it can definitely work with other brands too. Samson is one of those brands that covers a multitude of audio equipment. They aren't most popular for their studio monitors, but they have a few great models to offer in this category. Samson MediaOne 10S is definitely one product in their lineup that's worth looking into. It's a massive woofer with an equally massive 10" cone. Being active, it delivers some 100 Watts of pure bass power. With that in mind, Samson did go with someunorthodox design solutions. The first thing that comes to mind is the down firing bass reflex port. While it is tuned pretty well, it does limit the use of this sub in certain scenarios. Overall MediaOne 10S is pretty transparent, decently powerful and affordable. This affordable subwoofer from the respectable brand Polk Audio comes with an army of avid users and, as such, is well worth looking into if you need extra bass on a budget. This compact box is built very solidly, with a sturdy MDF cabinet and titanium-finished baffle with a removable grille. Underneath you’ll find a 10” front-firing driver which delivers great punch and good clarity for the price. It’s solid for both monitoring in a smaller studio and for home theatres that need some quality low-end. Make sure to check out the complete PSW10 review for more on this cool subwoofer. Compared to studio monitors or headphones, subwoofers are not seen as often in studios, although they are certainly popular pieces of equipment. Of course, many producers working in smaller spaces don’t feel the need to have the extra low-end power a subwoofer can offer. In some situations, these producers are correct, although there are many benefits to adding a subwoofer to your studio setup. Let’s take a look at some of the reasons. The main benefit of having a studio subwoofer in your setup is to have a transducer dedicated to producing super low frequencies. Let’s face it, although a niche product, monitor speakers still share some of the same issues as their general-purpose counterparts. One of these is that a standard studio monitor speaker will have to work very hard in order to cover the entire frequency range required in a good mix. The majority of modern monitors in the affordable and mid-range market generally come with smaller low-frequency drivers – in some cases, the drivers are so small that they are more suitable for driving mids than anything else! More expensive monitors are less prone to this because of the larger transducers used. This is where the benefits of a subwoofer become clear. Their dedicated low-end transducers deliver bass in bucketloads. Having a subwoofer can help expose the subtlest nuances in the low-end of your mix, making them very valuable for studio monitoring and critical listening of all kinds. 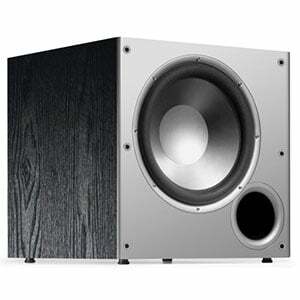 On a similar note, your new subwoofer will cover the lower end with much more power than your monitors ever could. We are talking anywhere from 100 watts to 200 watts (and beyond!) of dedicated low-end boost. You may never need that much power, but it’s good to know it’s there. As we have mentioned before, all studio monitors work within a specific frequency range. Some will go lower than others, but they all exhibit some sort of drop when you start reaching the bottom of the range. Adding a subwoofer to your setup can relieve your monitors from having to deal with those frequencies. In this case, all they have to do is focus on the mids and trebles, which most of them do rather well. Most modern studio subwoofers come with a variable crossover. This feature allows you to set the exact frequency where the subwoofer will kick in and monitors fade out. When you set the crossover to hit that sweet spot, your monitors will be able to divert all of the power from the amp to the frequencies where they work most comfortably. Depending on the model you have gone for, you will be able to choose the frequency that best suits you. If you have read the science behind the proper positioning of studio monitors, you probably know how important positioning is and how clinically precise it can get at times. With subwoofers, it’s a bit of a different story. Where studio monitors really need to be in the center of the room – some 38% of the way from the back wall and at a 60-degree angle from your head – subwoofers are much more forgiving! The idea here is that humans are not great at determining where a low-frequency sound is coming from – at least nowhere near as accurately as we can find the source of high-frequency sound. Despite this flexibility in positioning, there are still some things you can do to ensure your subwoofers are delivering the best sound. It is recommended that you place the subwoofer on the floor, although you can place it on a low stand if you are having floor reflection problems. Next, ensure the subwoofer is in between your two monitors. Doing this helps you get a more saturated response, as all the sounds will emanate from a single direction. The only issue is that sometimes your room can refuse to cooperate. In that case, you have to experiment with different locations. This is also where a phase shift feature (providing your subwoofer has one) can help. Lower frequency sound has a much longer wave length than higher frequency sound. As such, they are more prone to bouncing off the walls and conflicting with other frequencies. The phase shift essentially moves the wave out of phase for a value equal to half or less of its wave length. In short, if you have placed the subwoofer somewhere and it doesn’t sound right, try pushing it out of phase – chances are it will help greatly. We’ve established that subwoofers are great pieces of equipment to have – so what size do you need? Just like all low-frequency speakers, subwoofers need that driver cone real estate in order to create the lowest sounds. You just can’t get a good bass response without having enough material to push the air. In other words, the diameter of the transducer matters. The smallest driver we recommend for a subwoofer is around 8”, although a 10″ cone is optimum, especially for larger spaces. Going bigger than that can be beneficial, but might not be as practical for home studio applications. Ultimately, subwoofer size is going to be directly tied to the price of the unit. Smaller subs are most often cheaper, while those with larger cones usually tend to cost more. Subwoofers aren’t particularly exciting to look at and don’t vary too much in design from one subwoofer to the next. However, one of the main differences in design you will see are front-firing and down-firing subs. Front-firing subwoofers are the standard while the latter take things to the next level. Both have their pros and cons, but it was found that down-firing subs might be a little more efficient. The main reason for this is that a transducer pointed at the ground doesn’t have to fight gravity. Instead, it relies on it to achieve optimal performance. In that case, you can get away with driver cones which aren’t too robust or stiff, which helps with the overall response. The only issue with down-firing subs is that they can sometimes be a pain to set up properly. It takes some serious calculations if you want to get things just perfect. Not to mention that the behavior of a down-firing sub tends to change ever so slightly depending on the surface it is on. In the world of high-quality mixing, studio subwoofers are the final piece of the puzzle. Adding them to your monitoring system can significantly increase the quality and transparency of your overall frequency response. This is particularly important for those mixing electronic music or any other bass-heavy genre. The models we have highlighted are some of the most popular on the market and go a long way to proving that you don’t have to spend a small fortune to find something that is half decent. You’d be surprised just how far a budget sub can get you! I am surprised and disappointed that you didn’t review the Yamaha HS8S. I’ve heard lots of good things about them. I would have been nice to see a frequency response comparison. From my research some of these are really not comparable.